Calling app stores flawed, Chinese search giant Baidu wants to directly integrate third-party apps into its mobile services in order to do away with product installs, and streamline the user experience. Baidu on Thursday unveiled its new app distribution model as a way to help third-party developers better promote their products. Currently, most developers rely on app stores to achieve downloads of their software, but many still struggle to gain visibility for their products, said Baidu's CEO Robin Li at a company event. "The app store model is fundamentally flawed," he said, pointing to how 70 percent of all app downloads are only of a few top-tier products. To rectify the problem, Baidu has called on third-party developers to build special Web apps, it calls "Light Apps," that can be tied to the company's own mobile search. When users make queries, Baidu will pull up relevant apps that can be accessed on the device without installing them. For example, users searching for a symptoms to an illness will be brought to an app that offers recommendations for doctors and can set up appointments. If the user searches for apartments, Baidu will show a real estate app that can also provide alerts on new house listings. The Light Apps will be first offered through the company's own "Baidu app" product, which already has 130 million daily active users. In the future, Light Apps will also be available through Baidu's mobile browser and its Hao123 web directory portal. The new approach to app distribution is Baidu's latest attempt to expand its presence in China's mobile Internet market. 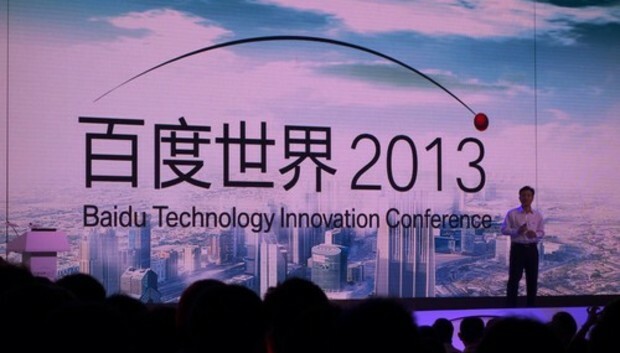 As the country's largest search engine, Baidu also wants to become a leading destination for mobile apps. But despite calling app stores flawed, the company last month acquired two of them in a US$1.9 billion deal to buy 91 Wireless Websoft, a subsidiary of an online gaming developer in the country. "Just because it's flawed, doesn't mean it doesn't have value," explained Baidu vice president Li Mingyuan in an interview with journalists. "It has big value in distributing the hot popular apps. But its flaw is that it's weak in promoting apps that remain stuck in the long tail of the distribution." In the case of its acquisition of 91 Wireless, Baidu bought the subsidiary because it has strong relations with third-party developers, which it hopes to leverage in building support for its Light Apps plan, Li added. "There will always be those native apps that we frequently use," he said. But other apps, like those designed to recommend a doctor or to buy a plane ticket, are seldom used and work better as Web apps that don't need to be downloaded, he said. Mark Natkin, managing director of Beijing-based Marbridge Consulting, said Baidu's Light Apps plan could help users better search for hard-to-find apps, while also cutting down on the need to install so much third-party software. "How many apps can you have on your phone before it becomes unmanageable?" he asked.